In 2017 Fredrik graduated with a M.S in Gender Studies, with a major in Political Sciences from Lund University in Sweden. During 2014 he attended a semester of advanced studies at the Peace, Mediation and Conflict Research program at Åbo Akademi in Finland and courses at Stockholm University and The Swedish Defence Academy. From 2008 to 2011 he studied a B.S at Umeå University, with a major in Peace and Conflict Studies, with a specialisation in International Crisis and Conflict Management. His main research interests lies in critical theory and feminist analysis of different expressions of violence. More specifically the role of gender, ethnicity and sexuality in discursive process and social practices in which violence, militarist and nationalist ideologies and values are sustained, challenged and rearticulated post-modern society. Fredrik has always strived for continuous exchange between academic studies and more pragmatic, hands on applications. This is expressed in a range of working experiences, internships and voluntary commitments related to his academic field and research interests. This includes volunteering as a member, educator and workshop facilitator with the feminist organisation Men for Equality since 2015, an internship with the anti-militarist organisation Swedish Peace and Arbitration Society in 2016, various social pedagogics, pro-bono teaching in Nepal during 2017 and employment as a communications specialist with the Swedish Armed Forces from 2012 to 2014. 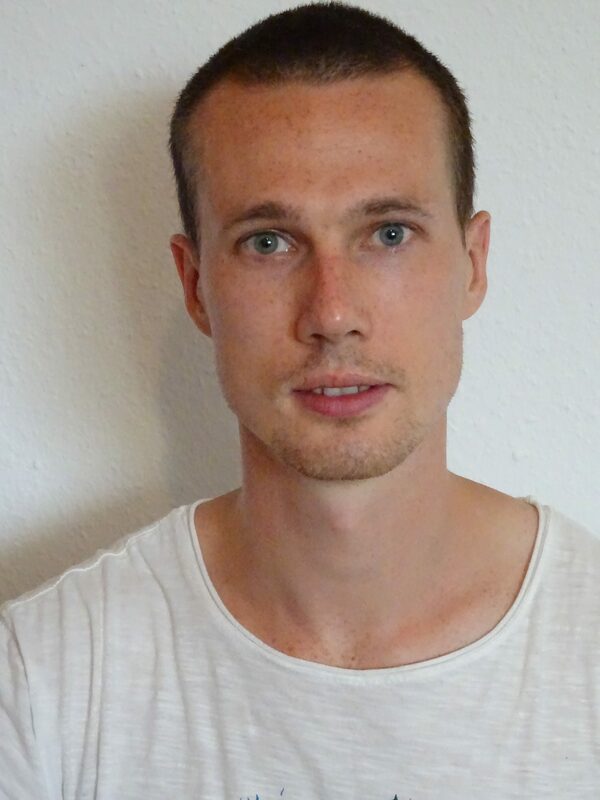 Since October 2018 Fredrik is a member of DFG 1767 “Fictional and Factual Narration” research group at Freiburg University, as a PhD researcher. Hashtag counter narratives in social media: The shared stories of #Metoo in Sweden. In Sweden #metoo first surfaced in October on Twitter and Facebook, and gained considerable momentum, digital and social media, and politics. #Metoo consisted of narratives from thousands of individual women, which highlighted and critiqued the depth, spread and persistence of sexual violence and sexism in Swedish society. #Metoo is an example of #hashtag feminism, where individual narrative(s) from large amounts of women are disseminated through connective and intertextual environment of social media. It has been found to give marginalized groups a voice and access to public discursive debate, while being less dependent on traditional media institutions (See ex. Barker-Plummer & Barker-Plummer, 2017). For the field of narratology #metoo raises interesting and highly relevant questions regarding the interrelation between multimodality, intertextuality and connectivity that characterizes this kind of narration on social media. More so, how these characteristics relates to ideas about expertize, legitimacy and truth claims in the construction of counter narratives. This research project takes its theoretical point of departure in the post-classical and discourse analytical narratological traditions. It conceptualises the #metoo narrative(s) as a shared story, mediated by the intertextuality and connectivity of #hashtags in the online context (Page, 2018; Georgakopoulou, 2005) and as a counter narrative (Bamberg, 2004; De Fina & Georgakopoulou 2012) drawing from feminist ideological frames (See ex. Lazar, 2005). It aims to further develop the narratological understanding of how multiple individual experiential narrative(s), social media and inherent the intertextuality of #hashtags together gives legitimacy to counter narratives. More specifically this means outlining the multimodal, intertextual and connective strategies of the shared stories (Page, 2018) of #Metoo. As well as asking how this relates to perceived truth content and factual claims of the individual stories. The research focuses on the Swedish context for two reasons. First, because of the significant and continuing medial, social and political impact and “success” of #Metoo. Second, the status of feminism and gender equality as important cultural and national characteristics and an integral part in the construction of the welfare-state. The empirical material will primarily be drawn from Twitter, without excluding the possibility for transmedial comparison with other social media platforms and digital media. Bamberg, M. (2004) Considering Counter narrative. In Bamberg, M & Andrews, M (Eds) Considering Counter-Narratives: Narrating, resisting, making sense. (pp. 351-373). Amsterdam/Philadelphia: John Benjamins Publishing Company. Barker-Plummer, B & Barker-Plummer, D. (2017) “Twitter as a Feminist Resource: #YesAllWomen, Digital Platforms, and Discursive Social Change”. Social Movements and Media, 14, pp. 91-118. De Fina, A. & Georgakopoulou, A. (2012) Analyzing Narrative: Discourse and Sociolinguistic Perspecives. New York: Cambridge University Press. Georgakopoulou, A. (2005) ‘“Same old story?” On the interactional dynamics of shared narratives’. In Quasthoff, U. and Becker, T. (eds.) Narrative Interaction. (pp. 223-41). Amsterdam and Philadelphia: John Benjamins. Lazar, Michelle M. (2005) Politicizing Gender in Discourse: Feminist Critical Discourse Analysis as Political Perspective and Praxis. In Lazar, Michelle M. Feminist Critical Discourse Analysis: Gender, Power and Ideology in Discourse. 1-31. Hampshire & New York: Palgrave Macmillan Ltd. Page, R. (2018) Narratives online: shared stories in social media. New York: Cambridge University Press.